Last April we skied on the icefields above Prince William Sound. 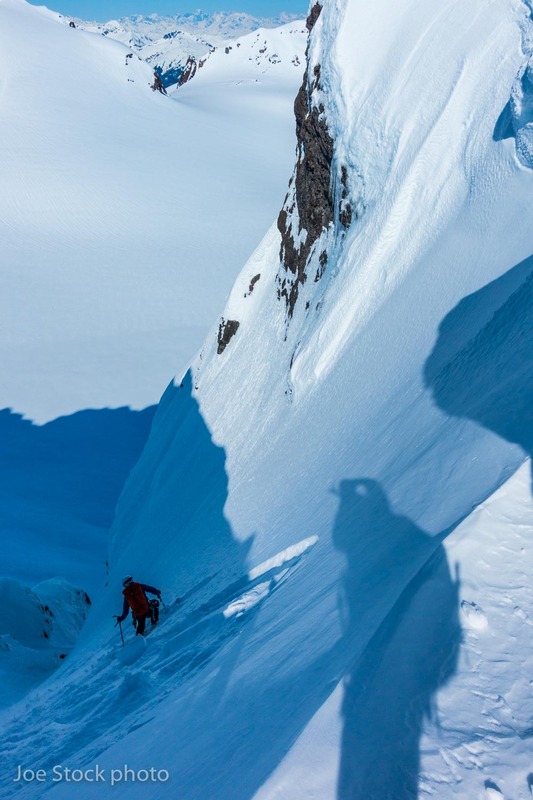 It was an Alaska trip of a lifetime: great friends, perfect weather and mostly stable snow. We skied so many monster faces and powder-filled chutes that we didn't bother counting. It's tempting to congratulate myself and say, "Well done. Your experience, conditions and partners came together for another ideal trip." The problem is, congratulating myself for a job well done doesn’t improve my avalanche skills. Getting better takes effort, practice and admitting my mistakes. I recently read Jonah Lehrer’s book How We Decide. It’s easy to read and full of decision-making nuggets directly applicable to backcountry skiing. While Lehrer doesn't have the cachet of Kahneman—the author of Thinking, Fast and Slow, the most popular book for avalanche psychology—Lehrer is a better writer. He eloquently synthesizes modern decision research into a usable fashion. What stood out most to me in How We Decide was how to train our intuition to make good decisions. Lehrer starts the book by explaining the problem with our attempts to be rational. While some situations necessitate slow, rational decision-making, such as when planning a day of backcountry skiing, most of our decisions in the backcountry come from intuition. We make thousands of intuition-based decisions each day. Should I turn left or right around those trees ahead? We don’t have time to deliberate the pros and cons of each decision. We just do it. The problem is that intuition can steer us wrong in avalanche terrain. Our brain doesn’t do well with uncertainty. It’s like winning at the slot machine. We get such a visceral thrill from winning the slots, which is similar to the visceral thrill of skiing a steep powder face that doesn’t avalanche. We may have made a poor decision and gotten lucky. If we get away with those bad decisions, and don’t re-analyze them, we are simply reinforcing our bad habits and intuitions. Just like the casino eventually wins, if we keep succumbing to the powder, and perceiving that we’re making good decisions in the face of avalanche uncertainty, the avalanche will win. So how do we train our intuition to make good decisions in the face of so much uncertainty? According to research summarized by Lehrer, we can train our intuition by examining our mistakes. This research particularly follows the aviation industry and work done by psychologist Carol Dweck. By studying mistakes, we can build patterns in our brain to recognize those bad situations and make good decisions instead. Close calls with avalanches are one type of mistake that we can examine and use to train our intuition to avoid in the future. It’s also worth examining the many small mistakes that occur while backcountry skiing. In ski guiding operations, mistakes and close calls are debriefed during the evening guide meeting. In avalanche courses, students are taught to debrief with the questions: “Where were we most at risk?” and “How can we do better next time?” What follows is an example of how we can examine mistakes on a day-to-day basis. To debrief our trip to Prince William Sound, I've taken a critical look at five runs. Rather than focusing on how bleeping awesome each run was, I’ve dissected the runs, looking for the mistakes I made. For each run I’ve assigned a self-critique rating. A 0% score would be an accident. A 100% score would be nailing it. Mistake #1: I didn’t apply terrain progression. I always preach “Apply terrain progression!" Start small and get on bigger terrain, if conditions allow. We did plan to start small with some corn runs, but I got lured into the chute. It was like placing a fillet of Copper River Red in front of our really bad cat and saying, “Don’t touch!” I couldn’t resist. Applying terrain progression takes diligence and self-control. Next time, I’m going to discuss terrain progression with my partners before putting on skis, so they can help keep me in check. Then I’ll keep the self-control gun stuck to my head. Mistakes # 2 &3: I didn't dig a pit and I didn't listen to my partner. As we assessed the entrance to the chute, one person in our group said, "I think we should dig a pit." Seemed like a good idea. We had little information on this wild snowpack. Might as well get our hands in the snow and gather some data. Especially if I’m going to ignore terrain progression! But two of us in the group felt that the snow was stable. In my frenzy to ski, I brushed off my partner’s request to dig the pit. Big mistake. More data equals less uncertainty. Next time, I'll try and take 10 minutes to dig a pit. And I’ll try and listen to my partner’s suggestions. Mistake #4: I didn’t consider the weakest link. Not everyone had 100% confidence in their ability to make turns in this chute. It was steep enough that a slip from the top could send you sliding to the base. With two 100-foot sections of rope, we belayed the initial ski cutter down the steepest section, and the second skier. The problem is, if I’m getting the rope out on the first run, I’m making a big mistake. Next time I’ll warm up with terrain progression. And I’ll do a better job at tuning into my partner’s concerns about steep terrain. Mistake #1: I didn’t speak my concern. On the descent, seeking a safe-zone in the complex terrain, my partner tucked up against the rock wall. At the base of the rock wall was a mini half-pipe of firm snow. In hindsight I should have recognized it as a garbage chute, formed by debris falling from above. From alpine climbing in New Zealand’s Southern Alps I’d learned these garbage chutes can offer solid ice for climbing, but if sun hits the upper slopes, or people knock stuff from above, the garbage chute becomes a funnel for high speed rocks and ice. Like I halfway expected, some debris came rocketing down the garbage chute and thumped my partner in the back. Shocked and creeped out, my partner climbed from the false security of the garbage chute and joined me on the other side of the gully. Why didn’t I say, “Probably less exposed on this side of the chute”? Maybe because I didn’t recognize the garbage chute. More likely though, I didn’t say anything because I’m so damned worried about what people think. Speaking my concern in the mountains, in an assertive manner, to non-clients about safety is one of my weakest skills. I need to work on saying what I’m feeling, right away, so it doesn’t build into an explosion of awkwardness, or lead to an accident. On our fourth day, two friends flew out for the day from Anchorage, bumping our group size to seven. A great number for socializing, but an unruly number in avalanche terrain. Mistake #1: I changed my plan. While skinning the ridge, we saw a recent soft storm slab avalanche between a series of sunken crevasse bridges. Because of the avalanche and crevasses, I decided I wasn’t going to ski the face. I used my photographer excuse to linger by the side and take photos. I watched each skier ride the sluffy, dreamy powder far above the icefield. Nothing avalanched on the top pitch. I raced over and skied the face and joined the group. On the second pitch, I was fourth down. A slab of snow 30 by 30 meters by 30 cm deep pulled out and followed me slowly down the face to the runout below. Why didn’t I stick with my plan to avoid skiing the face? I had seen the older avalanche and crevasse terrain traps. I got suckered in by the powder and snow. I became your typical stupid sheep, following the herd. Next time I’ll be more diligent about listening to my negative gut feeling. And then acting upon it. Mistake #2: I deferred to the knowledge of a partner. One person in our group had 20 years of snow safety experience at one of the most avalanche-prone ski resorts in the US. Knowing that his avalanche experience dwarfed mine, I deferred to his knowledge. That’s not the right thing to do. No matter how much experience a partner has, they’re still human, not a robot. They’re just as susceptible to powder as I am. I need to make my own decisions and share my fact-based opinion with the group in an assertive manner. Mistake #1: My inability to think of a mistake. On the last day the sky went grey and the light dead flat. Our energy was low from skiing all week. In an attempt to keep things close to home, we decided on a big, chute-laden face just over the ridge from camp. It was an eye-catching line I’d seen on a trip to the region years earlier. We were on the same page: tired, satisfied from a week of great skiing and thinking about the avalanche we triggered a few days earlier. We all felt on the verge of clicking in and making the first ski cuts. But something creepy kept us from doing so. Crew Resource Management uses the power of all minds in the team to make better decisions and avoid dictatorships that lead to accidents. As Lehrer writes, “It deters certainty and stimulates debate.” To avoid aviation lingo, we can call this "team decision making". Simple Checklists prompt us to consider important steps when dealing with complex problems, such as avoiding avalanches. Debrief Mistakes, no matter how small, and consider how to avoid them next time. This trains our intuition to make better decisions in the future. On a personal level, this winter I’m going to work on examining my mistakes after each day of skiing. I’ll especially focus on the two areas I need the most improvement: speaking my mind in large groups of friends and listening to partners when they voice concern. When appropriate, I’ll talk with partners, including clients, about the mistakes I’ve made, being aware to state my mistakes in a way that stresses self-examination, with the goal of promoting discussion. The hope is to fine tune my intuition to avoid avalanches for another 30 years. A huge thank you for the edits, discussions and motivation from Aleph Johnston-Bloom, Caleb Merrill, Cathy Flanagan, Cortney Carman, Karl Birkeland, Henry Munter, Jamie Bond and Lynne Wolfe. 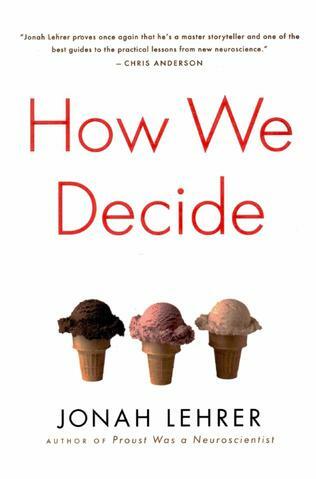 How We Decide, by Jonah Lehrer, 2009. Debriefing: A Simple Tool to Help your Team Tackle Tough Problems, Harvard Business Review, 2015. Double Loop Learning: Download New Skills and Information into Your Brain, Farnam Street.